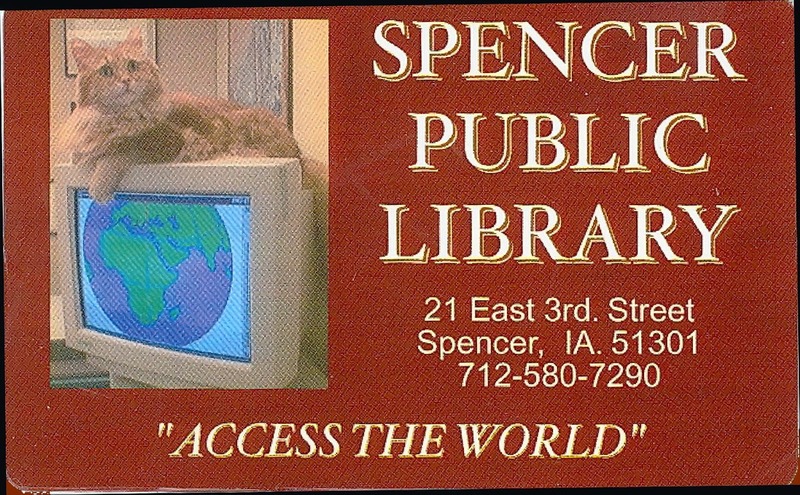 During the month of September, everyone should come in for a Spencer Public Library card. A library card allows you to check out books, DVDs, video games, magazines, and even art prints! Not only that, but you can use our computers complete with Microsoft Office and internet access! All of our services are accessible at no cost with a free library card! To celebrate National Library Card Signup Month, we have special perks for everyone! 1. Existing card members needing to replace their card can do it for free this month! 2. Bring in your DVDs, CDs, and game discs and have up to two cleaned for free. 3. Every time you use your library card throughout the month, you can enter into a prize drawing! If you don’t already have one, get a library card! It will be the best thing in your wallet!